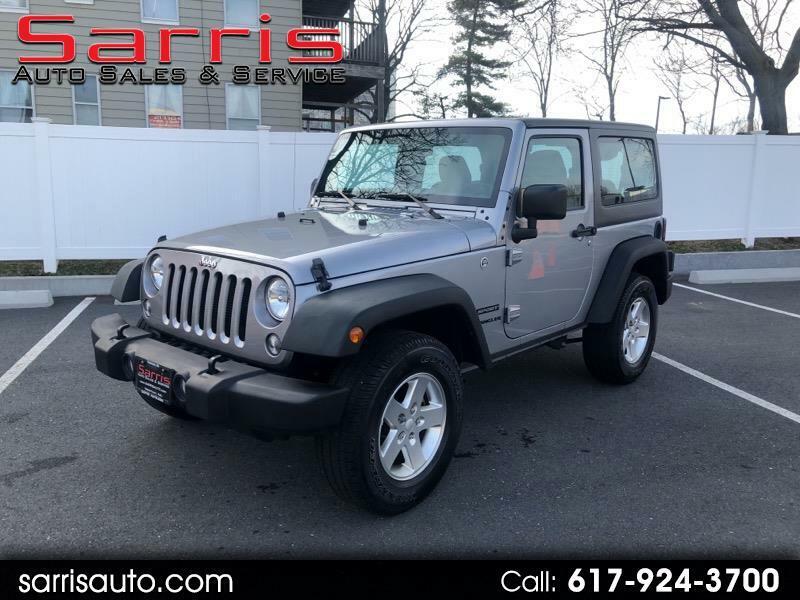 THIS IS A 2016 JEEP WRANGLER SPORT IN GRAY WITH BLACK CLOTH INTERIOR AND ONLY 35,687 MILES. THIS JEEP WRANGLER IS A ONE OWNER WITH A CLEAN CARFAX. IT HAS MANY OPTIONS INCLUDING, AIR CONDITIONING, AUTOMATIC TRANSMISSION, BLUETOOTH, CONECTIVITY PACKAGE, THREE PIECE FREEDOM HARD TOP, QUICK ORDER PACKAGE 24S, LEATHER WRAPPED STEERING WHEEL, CHROME/LEATHER WRAPPED SHIFT KNOB, 17'' WHEELS. POWER WINDOWS LOCKS AND TRACTION CONTROL.